In the process of getting bubble off the ground, we’ve been fortunate enough to meet and talk to lots of fantastic babysitters, boasting all kind of talents, backgrounds and experience. It made us think that we’d like to showcase some of the hero sitters we’re lucky enough to have on the app, so we decided to start a regular feature on the blog – Meet the Sitter. bubble: We like bubbly at bubble. What’s your day-job? Why do you do what you do? MS: I am a part time student, studying a diploma in Wedding and Events management. What I like about this course is learning about the celebration of love and seeing all the different traditions and religious ceremonies. Also, as it’s an online course, it gives me the flexibility for other activities, such as doing temp work, attending fun creative workshops/lectures and exploring new areas all around London. 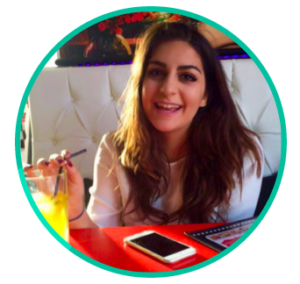 MS: I’m a certified First Aider and have an AfN certified Level 4 Nutritionist qualification – so I can make tasty meals and snacks that are nutritious! bubble: Tasty and nutritious? That’s no mean feat, especially when it comes to kids. What is it about working with them that you enjoy so much? MS: I’ve always considered myself to be quite the Mary Poppins, I enjoy working with kids (I spent 5 years working as a reception and nursery teacher assistant at my Greek School) and would love to have children of my own one day. Children never fail to make me smile with their creativity, curiosity and cheekiness. bubble: Spot on re the cheekiness, though can’t say it always makes us smile (just most of the time…). Kids love super-heroes and so do we – what would you say are your ‘super-powers’? MS: My super powers are cooking, having fun and making everyone laugh (oh and also dancing – but some people would question whether that was a super power). bubble: And if you had your pick of babysitting for anyone in the world, who would it be? MS: If I could babysit for anyone in the world, it would definitely be Prince George and Princess Charlotte. 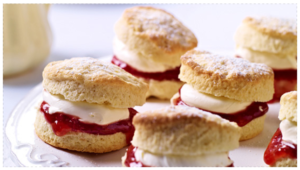 They are absolutely adorable and I’ve been told that I can make an excellent classic scone (with some jam and cream on the side of course). bubble: Make sure you send some of those our way please…When you’re not working or studying, what do you like to do? MS: I’m passionate about baking, regularly experimenting and making delicious desserts. I also like going to the gym, challenging myself and improving my health and fitness (and to work off all the yummy chocolate cakes I bake). bubble: Right now you’re living in Whetstone, what do you like most about living there? MS: I’ve lived in Whetstone for a year now (I used to live in East Finchley). Where I live is very close to public transport, it’s only a short walk to the park and the high street is covered in Italian restaurants (my favourite!). MS: I love how bubble looks to benefit not only the needs of parents but the babysitters as well – it’s a two way street. We both get flexibility, plenty of information and both sides getting to leave a review at the end is a nice touch! Thanks Mary, we’re looking forward to those scones! Mary is one of the hero sitters available for booking on bubble now.